Committee for Open Discussion of Zionism | Promoting open discussion of Israeli policies and the ideology of Zionism which underlies them. It’s hard to tell whether to fear or mock the recent call of former House Speaker Newt Gingrich for a revival of the House Un-American Activities Committee, or HUAC, as it was commonly called. It’s unlikely that a new committee will storm through the nation’s campuses in quite the same way the original did. The end of the Cold War has obviously mitigated the fear of Communism that powered HUAC’s investigations. Still, the rhetoric of Gingrich and his fellow Islamophobes contains enough parallels to the witch hunts of the early Cold War to arouse concern about an intensification of similarly repressive activities. And this time around, the academy could well be the main victim. Though he boasts a Ph.D. in the field, Gingrich has his history wrong. His brief remarks on Fox News, made in response to the shootings in Orlando, imply that HUAC flushed out Nazis and that President Franklin D. Roosevelt endorsed its work. That was not the case. Almost from its birth, in the late 1930s, the committee went after alleged Communists in the New Deal and the labor movement, not Nazis. FDR deplored HUAC’s activities but refused to spend his political capital in an open battle with the then-popular committee. The advent of the Cold War empowered the witch hunters. Because of American Communists’ ideological connections to the Soviet regime, the committee and its allies could — and did — portray the small and always unpopular party as a danger to national security. Revolution was never on the table, but during World War II, when the U.S. and the U.S.S.R. were allied against Hitler, men and women within the party’s orbit had spied for the Kremlin. Still, once the war ended, whatever threat Communism posed to the United States had essentially been eradicated by the Truman administration’s internal purges — as even FBI Director J. Edgar Hoover privately admitted. But scaremongering has its rewards. By the late 1940s, hyping the Red menace allowed ambitious politicians and bureaucrats like Joe McCarthy, Hoover, and HUAC member Richard Nixon to advance their careers and ideological agendas. Their activities and those of their collaborators gave birth to a campaign of loyalty oaths, security programs, and investigations designed to expose and eject every organization, individual, and idea associated with Communism from every position of influence in American society. Congressional hearings were central to that operation. As they scoured the nation in search of headlines, votes, and supposed subversives, committees like HUAC and its senatorial siblings did not call up people at random. They focused on those sectors of society where the Communist Party had been active — the academy among them. Before the witch hunts ended, the committees had grilled dozens of college professors about their past and present political activities and those of their friends and associates. Like the better-known witnesses within the entertainment industry and the federal government, most of the professors who refused to name names were, or had once been, Communists. But they had never abused their academic positions or engaged in illegal activities. Even so, the stigma of Communism was so toxic that more than 100 academics found themselves unemployed and blacklisted. Linking the campaign against PC to the threat of terrorism could start a new academic witch hunt. Today the threat is terrorism. It is no fantasy. But in our polarized society, it provides the same opportunity for some Republican politicians and right-wingers to push their own partisan schemes. There is, thus, the real possibility that in seeking to counter the genuine, if overblown, menace presented by potential terrorists’ ostensible links to ISIS or Al Qaeda, we might confront a new outbreak of McCarthy-style repression. Gingrich’s call for resuscitating HUAC exemplifies that danger. Invoking national security to advance existing ideological agendas during a crisis, real or imagined, is a longtime American tradition. This is especially the case when the designated enemies, like the Communist Party, have foreign ties. Think of the Federalists at the end of the 18th century, whipping up fear of a conflict with France to crack down on immigrants and punish their political enemies by means of the Alien and Sedition Acts. Or the racist scaremongering in California in the aftermath of Pearl Harbor that sent more than 100,000 Japanese-Americans to internment camps. Whether today’s mass murderers are trained killers under orders from ISIS and Al Qaeda or simply damaged souls eager to enact their private hells on a broader stage, whatever foreign connections they may have can easily be used to justify a wider campaign. Change a few words in Gingrich’s anti-Muslim rants, or those of Donald Trump, and you could be listening to a diatribe about the evils of Communism by Hoover or McCarthy. Whatever the ideology — and the witch hunters of today are as vague about the content of Islamic radicalism as the McCarthyites were about Marxism-Leninism — their line is that it’s un-American and deserves to be suppressed. They are equally vague about the organizations that should be sanctioned. Gingrich’s Exhibit A is the Council on American-Islamic Relations (CAIR), a civil-liberties group that seeks to combat anti-Muslim prejudice in the United States just as the Anti-Defamation League fights anti-Semitism. But in the twittering world of today’s hyperventilating patriots, any connection to Islam is cause for alarm. Xenophobia aside, what should also be of concern to the academic community is the former House speaker’s attack on the “national elites” who, he insists, facilitate terrorism by adhering to political correctness. According to this scenario, by refusing to demonize Islam, these elites in the news media, Obama administration, and the universities are simply coddling the enemy. They have been as soft on terrorism as the McCarthy-era witch hunters claimed the New Deal liberals were on Communism. While such charges may be too outrageous to stick, Gingrich’s reference to political correctness opens a new front in the continuing culture war against the nation’s faculty members, one that, it should be noted, had no real counterpart in the 1950s. The Cold War anti-Communists, though never loath to bash an intellectual, were not as hostile to the academic profession as today’s right-wing politicians and pundits are. HUAC harassed professors because of their politics and because they refused to name names. But it did not attack their teaching or their scholarship, as so many conservative ideologues do today. Much of the current attention stems from the larger role that the academy now plays in American life. With the disappearance of well-paying working-class jobs, a college degree is now the only route into the middle-class, and one whose increasing unaffordability dominates public debate. In the process, higher education has come to be considered an individual benefit rather than a common good, with vocational training largely replacing any broader civic mission. Accordingly, professors in the liberal arts, who try to teach the critical-thinking skills that thoughtful citizens need, come under assault as superfluous — and perhaps contributing to the rising cost of higher education. Conservatives have their own reasons for attacking the university. Upset about what they saw as the radicalization of the academic profession during and after the 1960s, a cluster of right-wing business leaders and foundations mounted a public-relations campaign to delegitimize the academic mainstream. By the 1990s, that well-funded campaign had managed to convince large numbers of ordinary citizens that the nation’s college faculties had been taken over by tenured radicals who wrote incomprehensible prose, hated white men, and worked just 12 hours a week. As a result, political and financial support for the nation’s public colleges and universities and for higher education as a whole has dwindled. Until now most of the damage has been structural, afflicting institutions rather than individuals. Inherent in Gingrich’s proposal for a new HUAC, however, is the danger that by linking the campaign against political correctness to the threat of terrorism — thus making it a matter of national security — a new academic witch hunt could take off. To a certain extent, it already has, hounding the only academic group that Gingrich specifically identified as having contributed to terrorism: those who “are funded by countries like Saudi Arabia.” Since it is unlikely that Gingrich was referring to petroleum geologists, we can assume that his new HUAC would be looking at professors in Middle Eastern studies and related fields. No surprise there. Scholars who study the Islamic world have been under attack for years. Their connections to that tumultuous region have rendered them singularly vulnerable to outsiders with their own agendas, especially with regard to the intractable Israel-Palestine conflict. There is a disturbing precedent here. During the 1950s, the field of East Asian studies became the target of politically motivated charges linked primarily to a Republican Party campaign to blame the Truman administration for the “loss of China.” McCarthy and his colleagues tied many of the nation’s leading China scholars to an organization that, it was asserted, had served as a conduit for Communist influence on the State Department. Far-fetched as that scenario was, it destroyed the careers of several figures in the field and frightened the rest into circumspect silence. It is all too easy, I fear, to envision a similar set of hearings designed to bring out the supposed terrorist connections of those scholars of the Middle East who have already been singled out as insufficiently supportive of the current Israeli government. Fortunately, promoting terrorism has yet to be added to the list of their transgressions. They are simply being charged with biased scholarship, anti-Semitism, incivility, and — ironically, considering conservative disdain for political correctness — creating a hostile classroom environment. 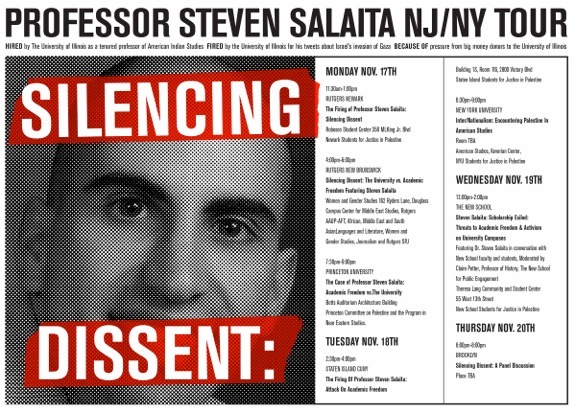 Even so, a few, like Steven Salaita and Norman Finkelstein, have lost their jobs or been denied tenure. How many other academics within or outside the field have been encouraged to keep their heads down is hard to tell. Signing a petition against the occupation of the West Bank or publicly supporting the growing Boycott, Divestment, and Sanctions (BDS) movement could jeopardize someone’s employment or subject a professional organization, such as the American Studies Association, to external sanctions. But even for individuals with the security of tenure, the hassles can be wearing. No one wants to contend with an inbox full of hate mail or to find informers in their classes sent by off-campus organizations. Better, therefore, to emulate some China scholars in the wake of McCarthyism: Steer clear of controversy and study the 13th century. It may not be possible to stay out of trouble. The East Asian experts who were critical of the Nationalist regime of Chiang Kai-shek in the 1940s had no way of knowing that 10 years later, congressional investigators would accuse them of undermining American interests. Given the partisan pressures and high emotions evoked by the situation in the Middle East, as well as the increasingly politicized attacks on higher education, who knows what Twitter post or reading assignment might earn a subpoena from a revitalized HUAC? Because “McCarthyism” has been a pejorative term for so many years, it would be comforting to assume that the American public and its political leaders are inoculated against a revival. In fact, Gingrich’s feeler may well quietly flop. Still, presented as a necessary adjunct to the nation’s war on terror, a crackdown on dissenting academics with connections to the Middle East might well gain traction. The academic and other purges of the early Cold War were effective because of the day-to-day collaboration of mainstream politicians and timorous employers. There was plenty of tut-tutting within the liberal establishment and moderate middle about McCarthyism’s injustices, but little effective opposition until the worst was over. Today, when such outrages as New York Governor Andrew Cuomo’s recent and presumably unconstitutional executive order imposing sanctions on the proponents of BDS is barely challenged, except by civil libertarians and the pro-Palestinian movement, it is not inconceivable that the political repression of the McCarthy era could return. Like the anti-Communist purges of that earlier era, it would be enabled by a passive public unwilling to question strident claims that a threat to national security requires a new round of un-American activities. Correction (6/30/2016, 5:20 p.m.): The author’s identification has been updated to recognize her emerita status at Yeshiva. Ellen Schrecker is professor of history emerita at Yeshiva University and the author of, among other books, No Ivory Tower: McCarthyism and the Universities (Oxford University Press, 1986). We are writing to strongly oppose A.9036, currently in the Governmental Operations Committee of the NY Assembly, as well as any similar legislation that creates unconstitutional blacklists. 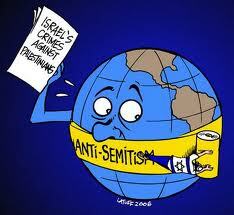 We share deep concerns about unconstitutional attacks on boycotts, a form of protected political speech. We call on you to stop this legislation, and oppose any similar efforts. -Punish those advocating for a boycott of Turkey because it uses U.S. weapons to commit human rights abuses against Kurds, or for advocating for a boycott of Colombia because it uses U.S. weapons to commit atrocities against its citizens. 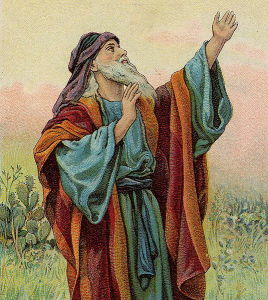 -Bar United Methodist Churches from contracting with the state to run homeless shelters and soup kitchens because the church supports the boycott of Israeli settlement goods. -Punish those advocating for a boycott of Israel because it uses U.S. weapons to inflict systemic human rights abuses against Palestinians. It would prevent New York from investing in corporations that have severed their complicity with Israel’s oppression of Palestinians in response to boycott, divestment and sanctions (BDS) campaigns. Should it become law, the bill would put a chill on speech, and deter constitutionally protected speech by intimidating people from engaging in actions for fear of being blacklisted. This bill was passed in the NY State Senate the first week of the session with virtually no debate and it must be stopped now. We are also concerned about A8220/S6806; a bill just as unconstitutional. This legislation blacklists and bars state funds to individuals and entities that have taken any action to boycott Israeli policies. We believe A8220 is just as dangerous as A9036. No legislation should restrict the rights of New Yorkers to engage in efforts to bring sanctions against a nation engaged in human rights violations. We ask you to act in accordance with this state’s history of defending free speech and the rights of New Yorkers to engage in peaceful efforts to change policies. We urge you to make sure A9036 does not pass in the Assembly. We are counting on you to defend free speech and reject this new version of McCarthyism. As scholars in a wide range of academic disciplines we write to express that we are both pleased and concerned that the University of Illinois at Urbana-Champaign (UIUC) has agreed to settle Professor Steven Salaita’s lawsuit challenging his illegal termination by the UIUC Board of Trustees after he made comments on social media critical of Israel’s military assault on Gaza in the summer of 2014. We note that the University agreed to settle Professor Salaita’s claims only after a federal court had ruled in Professor Salaita’s favor on key elements of his case, including that his employment was terminated after he had been given a contract of employment by UIUC, and that Professor Salaita’s comments on social media were protected by the First Amendment. We are pleased that the University of Illinois trustees, through the payment of a substantial monetary settlement to Professor Salaita, have acknowledged how Professor Salaita’s termination amounted to a serious violation of both his constitutional right to free speech on matters of public concern, and principles of academic freedom. Agreeing to pay what amounts to the equivalent of Professor Salaita’s salary for ten years, the University of Illinois trustees have implicitly conceded the core claims of Professor Salaita’s lawsuit: that he was illegally terminated in retaliation for his comments in connection with the Israeli war on Gaza, and that UIUC officials’ decision to terminate Professor Salaita was motivated, at least in part, by pressure they received from large donors to the University as was revealed by emails disclosed by the University in connection with the lawsuit. At the same time, we are concerned about the terms of the settlement for two principal reasons. First, it did not include Professor Salaita’s reinstatement. Although we respect Professor Salaita’s decision to accept the settlement and to move on with his career, we nevertheless call attention to the fact that a cash settlement without an offer of reinstatement leaves unaddressed the unjust terms by which his employment was terminated. Not only were his fundamental rights of free speech and academic freedom abridged, but he remains entitled to reinstatement at UIUC as a matter of principle, whether or not he chooses to accept that reinstatement. As it stands, the settlement demonstrates that the university can abridge such rights at a price, setting a perilous precedent. Second, we recognize that UIUC’s unlawful treatment of Professor Salaita has had implications well beyond Professor Salaita individually. The UIUC American Indian Studies Program that hired Professor Salaita not only lost Professor Salaita as a colleague (after a rigorous search), it has suffered severe fall-out given the administration’s assault on the autonomy of the program and its selection to appoint Professor Salaita to the program. Professor Salaita’s hire was intended to build a rising, dynamic academic home for research and teaching on American Indian Studies. Now the program struggles with just one and a half academic appointments. The decimation of the American Indian Studies Program at UIUC has been an additional price tag paid by the university’s capitulation to internal and external forces that disapproved of Professor Salaita’s exercise of constitutionally protected rights to free speech. Sadly, the settlement in this case fails to address the larger price paid by students, faculty, and the broader academic community that looked to the University of Illinois as a home of robust academic inquiry into the complex issues of sovereignty, belonging, dispossession, and conquest – both in the U.S. and globally. On account of the manner in which Professor Salaita was terminated the American Association of University Professors censured UIUC for its failure to conform to sound academic practices as established in AAUP principles. We feel strongly that the monetary settlement of Professor Salaita’s legal claim does not address the underlying breaches of academic freedom and widely accepted standards for the conduct of academic governance that formed the basis of the AAUP sanction in this matter. For this reason we urge the AAUP to not remove UIUC from its list of censured administrations until such time as UIUC adequately addresses the larger pall of uncertainty that has been cast over the manner in which academic freedom is understood and respected at UIUC. Watch film scholar Terri Ginsberg discuss Palestine-solidarity filmmaking, focusing predominantly on To Live in Freedom, a 1974 documentary directed by Simon Louvish, and featuring Palestinian writer and intellectual Fouzi El-Asmar. 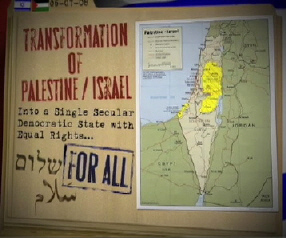 The talk examines the relationship between Zionism, European colonialism, class stratification and racism in Palestine/Israel, and suggests historical ties between the establishment of the film studies discipline during the 1960s, and U.S. government interference in the socio-cultural sphere.